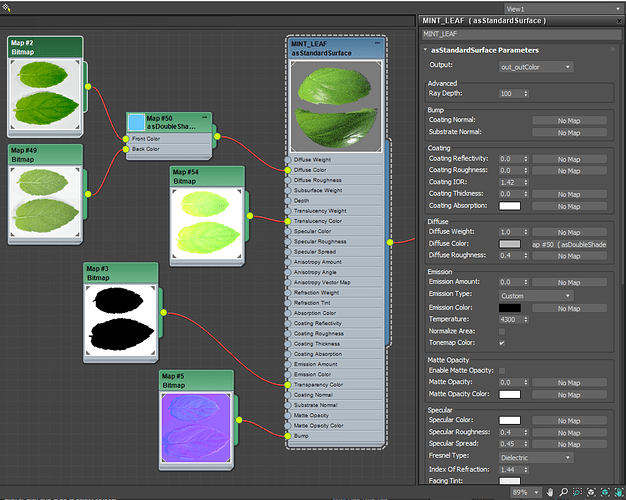 Need help creating leaf material,can anyone post some node setup for leaf material. Sure, what software are you working on? A asStandardsurface should be enough to create the leaf material you are after. At asstanderdsurface shader where to connect alpha map?? opacity maps can be applied per object in the Object Alpha section of the object properties tab. alpha maps can be applied to the Transparency Color input of the asStandardSurface material per material. 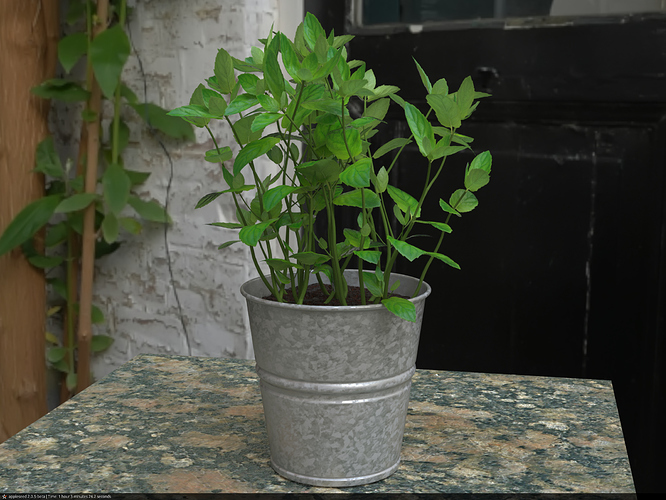 Here is a nodes setup in appleseed-Max for a leaf material which uses the asStandardSurface and the resulting render (free model from VizPeople). Hi, how did you go about the newly rendered leaf you posted on discord? I replaced the previous node setup and render image with the improved version.